Advances in technology has enabled the Denver court reporting industry to expand at a steady pace that has exceed the growth many other industries. Traditionally, most Denver court reporting services catered primarily to the legal profession. However, more non-legal entities, including businesses, panels, conventions and other organizations increasingly rely on court reporting services as well. Innovations have made operations more efficient and enable court reporting companies to offer their clients a litany of higher-value services. The sector has gone beyond proving basic stenographer services to include document storage and other technology-based reporting alternatives where there are growing demands for such services. Many court reporting service have been offering their client real-time capabilities since the introduction of the technology. Real-time reporting can provide a transcript minutes after the conclusion of action or allow hearing disabled individuals to follow along with proceedings. Typically, younger tech-savvy attorneys gravitate to the technology, but real time Denver court reporting growing in popularity as a normal litigation option. The technology is simple to implement. 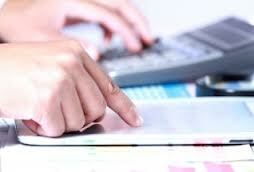 Basically, software is installed on the client’s laptop or PC, which is linked to the court reporter’s steno device. As the stenographer enters testimony, deposition questions and answers or other information, it is automatically translated. A live feed from the court reporters steno machine to the attorney laptop provides real-time conversation, events, questions and answers as they are spoken. The Federal Communication Commission requires all new television programming to be captioned, which ensures a growing demand for this service. This technology supports the need to convert speech to text for students in educational settings—vocation schools, community colleges and 4-year institutions and universities. The service meets ADA requirements to provide equal access for deaf or hearing-impaired students. A voice link by Internet, telephone or cell phone connection sends the voice to a trained reporter. Verbatim real-time can work transcript of the spoken activities in the classroom or other setting is transmitted back over the Internet, phone modem or other data connection. Although electronic recording provides a viable option under some circumstances, there are areas in which it simply cannot provide the quality of service. Traditionally, electronic transcripts have shunned in the court reporting world. However, it has become increasingly more common to save time and money by providing an electronic transcript along with a hard copy. Popular applications like E-Transcript and Adobe Acrobat have matured and offer the latest advances and features, which enable clients to make the most use of information provided in electronic transcripts. For the Denver court reporting field, and the industry in general, technological innovations have driven many court reporting companies and professionals to adapt their services to the changing marketplace. This approach requires flexibility and the ability to adapt services in unique and distinctive ways to changes in the legal profession and other industries. Looking For Help With Your Court Reporting? For help with our court reporting needs in Denver and the Rocky Mountain region, please call us or click here to contact us.